Define lips with creamy, stay-put precision. Applies without skipping or tugging. Extends the wear of lip color. Available in skin-tone shades plus a range of popular lip colors. A lip liner is an absolute must for the woman who wants a more defined, polished lip or for those who may be concerned with feathering or bleeding of their lip colour. The delicate lip area is prone to excessive moisture loss and as lips age, they become thinner and fine lines and wrinkles become more obvious on and around the lips. 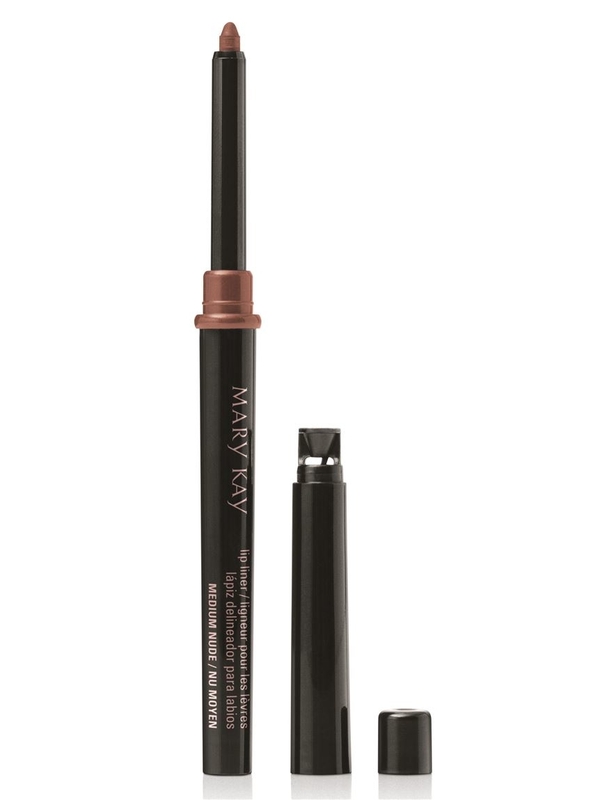 Mary Kay® cutting-edge Lip Liners do more than provide natural colour definition, they have additional skin care benefits such as age-fighting ingredients that help protect lips and help them appear smooth while creating a perfectly polished look. The neutral shades are similar to the natural tones of the lip so the liners blend in with lips and coordinate with Mary Kay® Creme Lipsticks and Mary Kay® NouriShine Plus® Lip Glosses. No more guessing which liner shade matches your lipstick shade! First, before applying a lip color product, apply TimeWise® Age-Fighting Lip Primer to prevent feathering and bleeding. And be sure to allow it to dry before applying lip color. 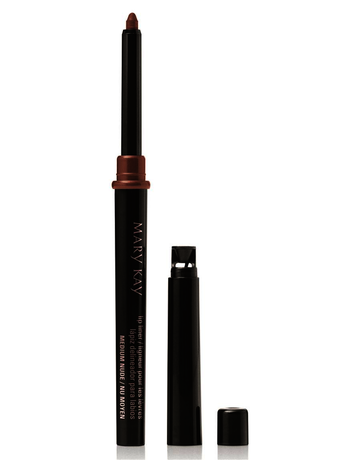 Using the lip liner, define the V-shape at the center of the top lip along the natural lip line. Bring the line to the corners of the lips using short, feathery strokes. Next, define the center of the bottom lip by starting from the corners and drawing a line in toward the center.